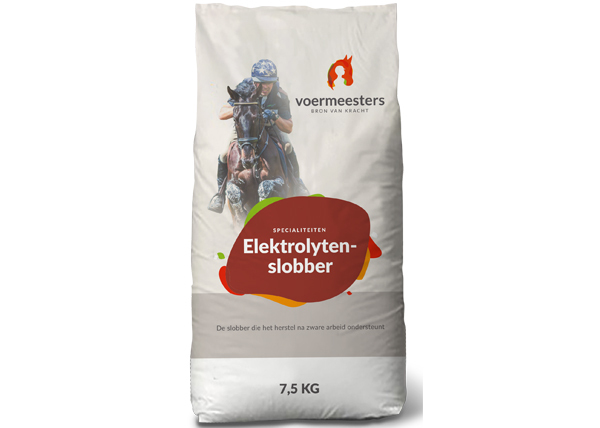 Voermeesters Elektrolytenslobber is a very tasty mash for horses that have done heavy work and/or sweat a lot. 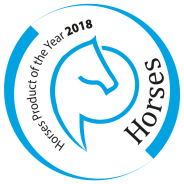 Through sweating, the horse loses not only a lot of moisture, but also minerals such as sodium, chloride, potassium and magnesium. Voermeesters Electrolytenslobber replenishes these minerals and can ensure that the moisture balance is restored. The mash must be made with cold or warm water (one part electrolytenslobber, three parts water). The water absorption is therefore controllable. The added dextrose supports the electrolyte intake. Electrolytenslobber is available in bags of 7.5 kg. Benefits: -Electrolytes added., – For all (sports) disciplines., – Top sport., – Natural ingredients., – Balanced nutrition,. – Pure feed.